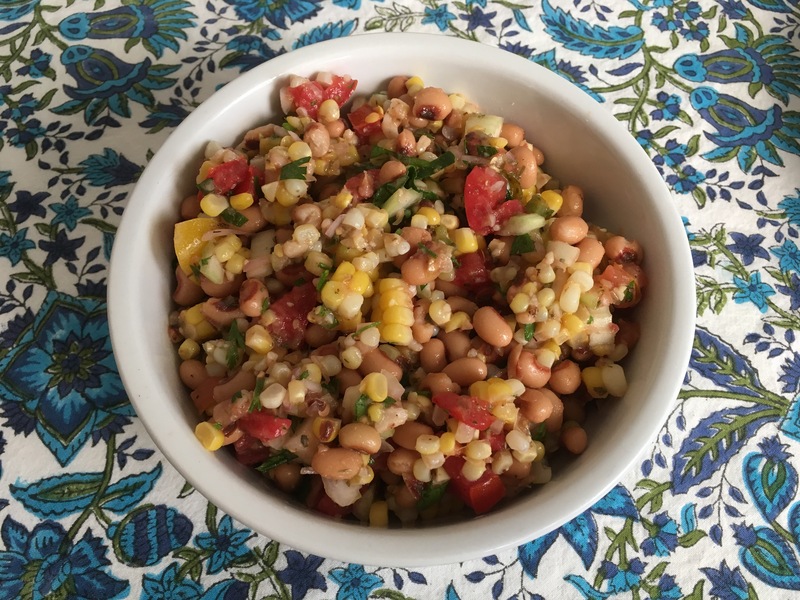 This salad is a nice way to use up leftover corn on the cob. It is a quick and easy side dish. Feel free to change up the beans if you prefer black or pinto beans. You could add bacon or ham to it as well. Begin by cutting the corn off the cob and placing it in a medium size bowl. Add drained beans, tomatoes, celery, and onion. Mix to evenly distribute. Add oil, vinegar, oregano, salt, and pepper to taste. Mix well. Add parsley and basil. Mix. Serves 4.